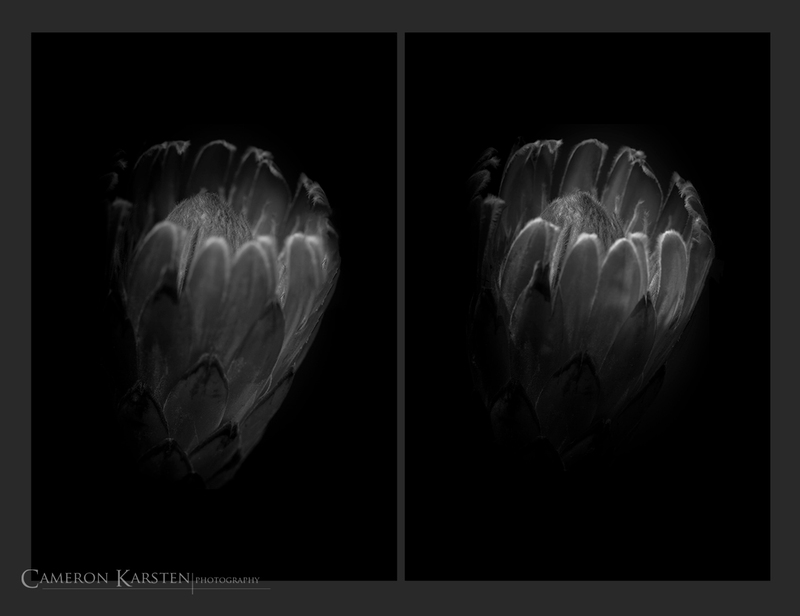 To depict the differences of diffused light and hard light on flowers, I created the following composition of an unknown flower species. Upon completion, the differences observed are slim. Diffused light – left. Hard light – right. 100mm, 1/200 sec at ƒ/5.6 & ƒ/11, ISO 200, tripod mount.